We just got back from a two month trip in our motorhome that included an Alaskan cruise. I got some very good pictures along with some great memories. This summers trip seemed to revolve around water. We camped on lakes, oceans, and rivers. That seemed to make for very good places to stay. On this trip I used both digital and film cameras. I took 1. Nikon DSLR with 3 lenses. 2. My cell phone camera. 3. My 1953 Voightlander Prominent 35mm with one lens, a 50mm 1.5. 4. My Olympus XA compact 35mm film camera. I used all of them. Here are some bullets of stand out features of those cameras that I found helpful this summer. Vibration reduction on modern digital cameras is very useful when using a long lens. The above picture is a mid range telephoto and this was an easy shot due to VR. Quick acting DSLRs are needed when the picture is an action shot and you want to use digital. 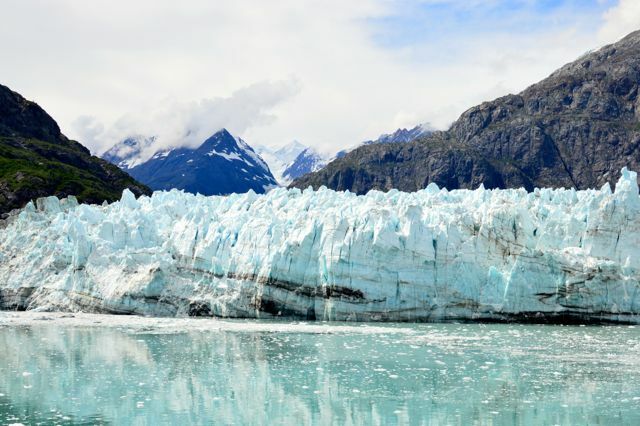 When we were in Glacier Bay the glacier calved. I had a split second to get the action and the Nikon was up to the task. Auto advance is another important feature in this situation. Modern film like Ektar 100 is almost impossible to expose incorrectly. I shot an entire roll of 36 at a wedding with a 60 year old rangefinder camera and mostly guessed on exposure. All 36 shots came out fine. Of the 4 rolls of Ektar all of the pictures came out exposed well. Cell phone cameras are nearly totally useless shooting action. 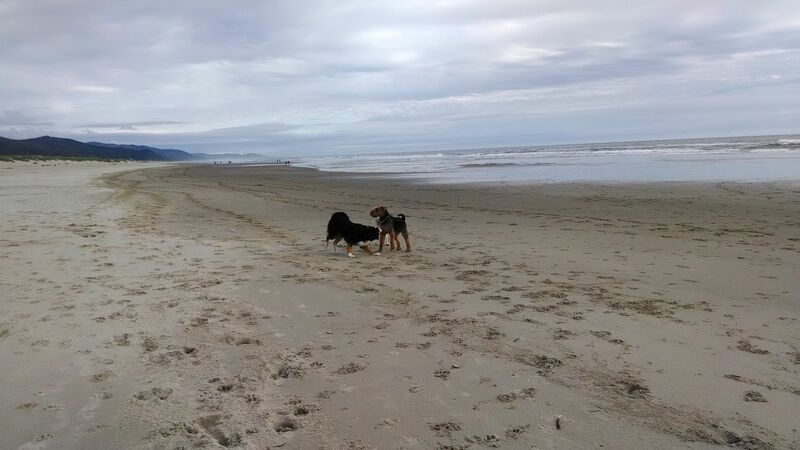 I tried to get pictures of dogs on the beach in Oregon. I would push the button and the dogs were way moved on before the shot would take. 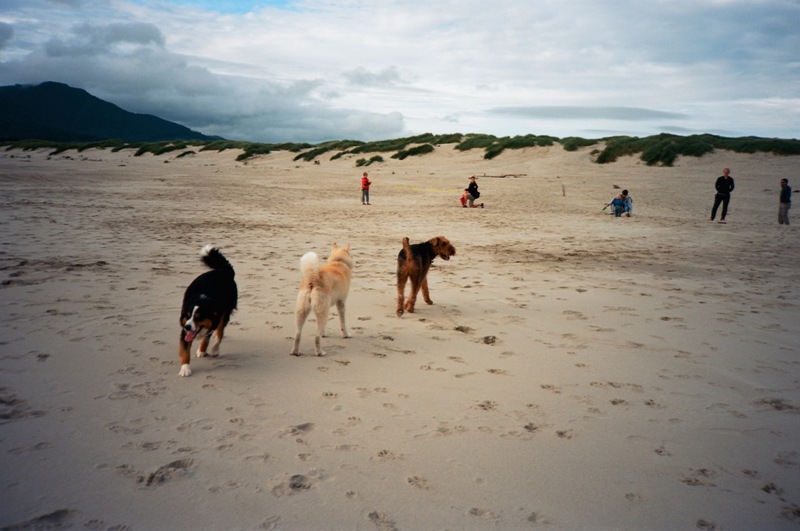 By far the Olympus XA was more useful. The Olympus is a simple camera, but when you push the button the picture is taken right now. Full frame cameras give you a shallow depth of field. This is very useful when you want to isolate a subject and have beautiful bokea for background. I much prefer the size of my Olympus OM2n with full frame than Cannon or Nikon full frame digital. I far prefer simple manual adjustments of the older cameras. My Nikon is the 3200 and it is far more difficult to do manual adjustments of f stop and speed than on any of my semi automatic or manual cameras. This was taken with a telephoto. Vibration reduction helped me get a good shot of this. 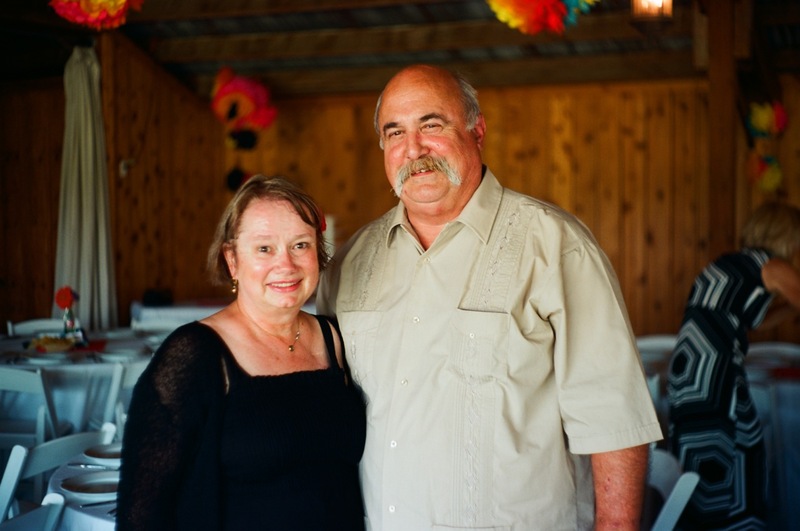 This is an Ektar shot with a 60 year old rangefinder. People love this picture. I have had more comments and likes on this than any other picture I have ever taken and posted. Who says Ektar 100 does not work on flesh tones. 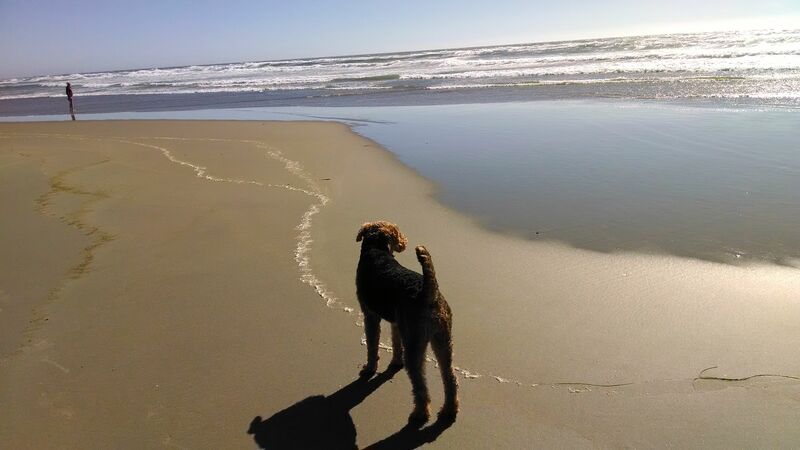 I tried repeatedly to get a dogs on beach picture with my cell phone. Forget about it. They had moved on before the picture shot. This is not a great pictue but at least I got all three dogs and froze their action. This is the Olympus XA with Ektar. So what is my point. Just like you need many tools in your garage to fix things around the house, no one photo tool (One camera) does everything “best”. Mixing film and digital in my case is the best way to go. I got shots that I loved with both digital and film. I have to tell you though that I like the film process of taking pictures better. Recently we took an Alaska cruise. 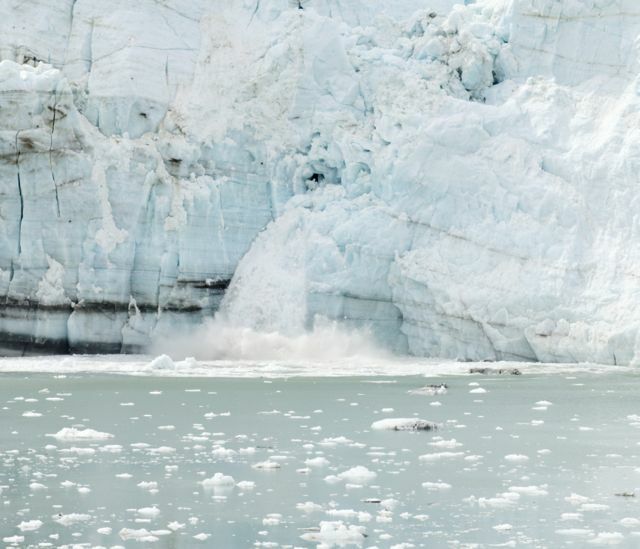 One of the key photo shots everyone wants from this type of travel is the glacier calving. 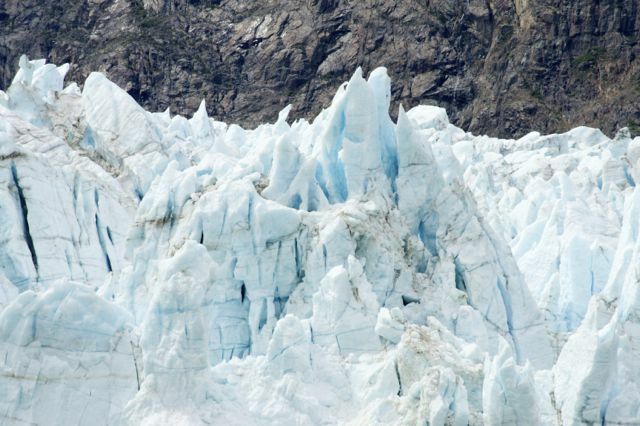 This is a shot of one of the main glaciers in Glacier Bay Alaska. 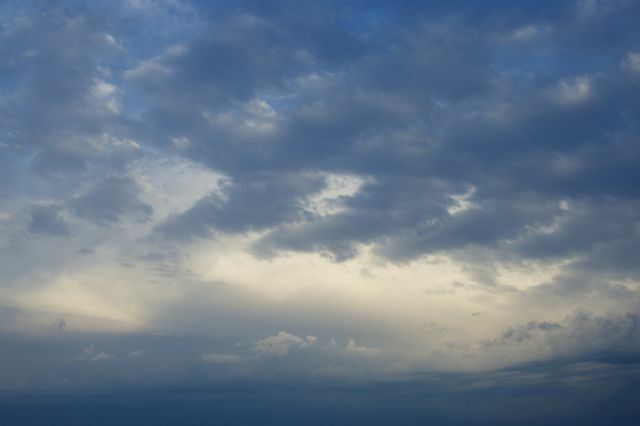 This shot above could be taken with pretty much any type of camera digital or film, cell phone, compact, or DSLR. In this instance I used a year old Nikon DSLR. We got tired of standing up on the top deck and went to our room with a veranda. I sat for quite some time and put on a telephoto lens, the Nikon DX 55mm – 200mm. I wanted to get a close up of the blue ice in the glacier. So I sat for a while and then it happened, a break. I still had my DSLR sitting on my lap, and since you can point, auto focus, and shoot in an instant I was able to get several shots before it was over. I was even able to increase the zoom to get a closer shot. This same shot could have been taken with a cell phone or compact camera, but you would not get the same details. The DSLR is all optical zoom and can go all the way up to 24 mega pixels RAW. The Nikon is quick to start up too. I had the camera turned off, but it is almost instant on. 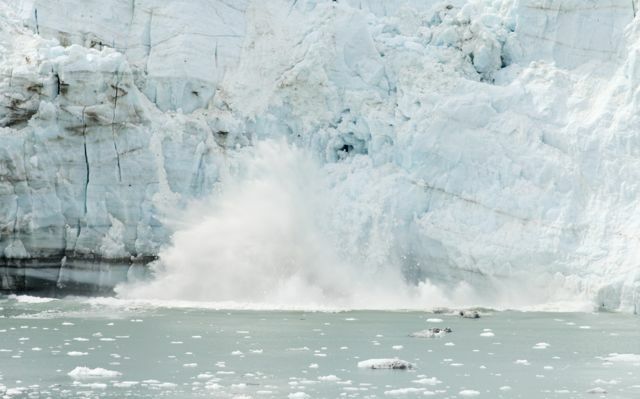 So a couple minutes later when a second glacier break happened I got this and several other shots. The Nikon is fast. I did not hold the button down for continuous shots, but was able to repeatedly click off shots that all came out good. This is certainly an instance where a fast acting DSLR is the right camera to have to get this type of shot. I did not bring any film cameras on this trip. I am now sorry that I did not. My Olympus OM2n is just as fast on as the Nikon, and since this is shot at infinity auto focus was not any advantage. However, the Nikon does have auto motion reduction to steady a long shot with a zoom. Since I usually do not go over 150mm with the Olympus I don’t think this would have been an issue. It would have been nice to have film shots too to see if there were any color palettes that I did not get out of the digital. I do love these action shots, but was disappointed with the blue ice ones. Maybe film would have enhanced that. Please keep in mind this is my opinion and not a fact. But, in my opinion the most important feature of digital photography over film is immediacy. You can see what you have taken right now. This means you can see the live view, take the picture, and see the results on the back of the camera right away. The key importance of this is to see if you got the shot you want. If yes, you are done. If no, you take another one. For this shot I watched live view on the DSLR and then could see the picture right away and know I had what I wanted. To get this with a film camera you would take shots bracketing the exposure and hope what you wanted came out when the film was developed. 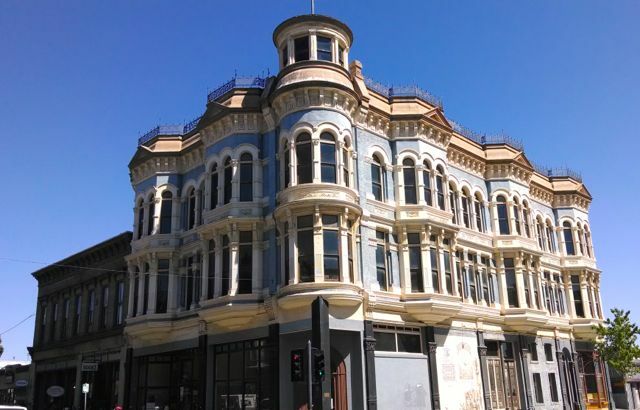 Victorian building in Port Townsend WA. On the other hand this is an easy shot with any camera. I took this with a cell phone 10 mega pixel camera. Any film camera including a disposable one would give you a more detailed image. You could crop the heck out of it and see every detail in the Victorian woodwork. The other important aspect of immediacy is sharing. The way most pictures are viewed today is through social media like Facebook, Twitter, texting, emailing, and so on. With digital pictures you can do this immediately. Film at best takes a day. And if you are traveling like we are now, I have seen none of the film pictures I have taken so far and we are five weeks into a 9 week trip. So I am back to what I said in my first post on this blog about photography. Both digital and film still have a place if you want the best results. There is a reason nearly all feature films are shot with film. The results are what the director and the audience want. But if you are not a very skilled person, using digital cameras are very useful in tough to shoot lighting and where you want the results now. 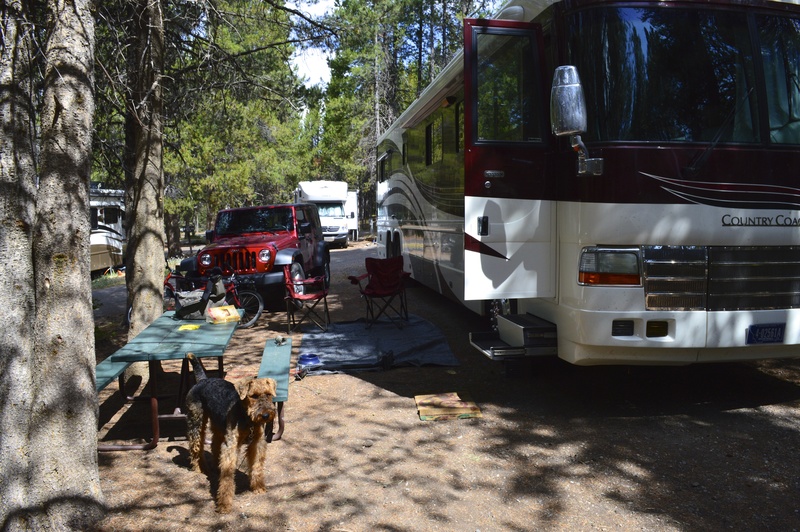 This summer we have been spending much of our time in public RV parks. The is a switch from our usual trips which generally include more privately owned parks. For the 55+ crowd who motorhome you will find more people of that description in private parks as compared to publicly owned parks. 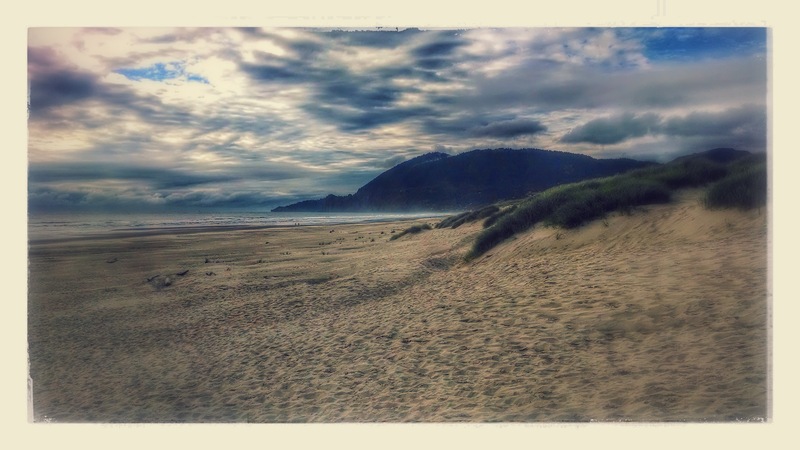 We stayed for a week near an awesome beach next to the cute town of Manzanita. This is a huge campground. Out of maybe 250-300 sites that were 95+% full the whole time were were there I did not see one other motorhome of 38’+. We were the only one. Even though this park has lots of spaces capable of fitting bigger rigs. 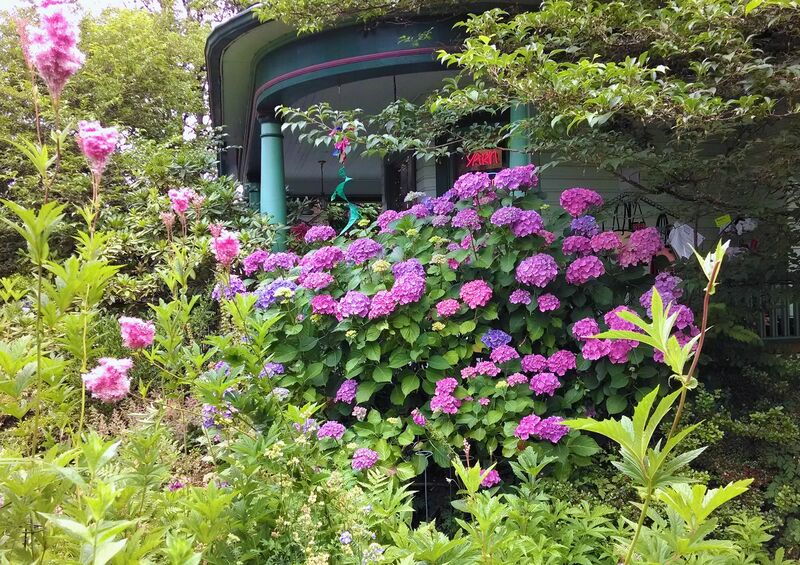 We enjoyed our stay here and will go back, but for those RV campers over 55 looking for other RVers of similar age and some commonality, this is not the best place for you. The average camper here was either in a tent or had a small towable. Most of the motorhomes were in the range of 25-30′. The average age was more like 30-35 for the adults. And there were lots and lots of kids. No sewers in the hookups either. I like walking around the RV park with my dog and striking up conversations with people. In my opinion this is easier to do with people of a somewhat similar age to you. When all I used was film I ended up with either negatives & prints or slides. I made photo print albums and put the slides on Kodak Carousels. The negatives I put in folders chronologically. I started buying digital cameras in the late 1990’s and this required a new system to back up-archive and organize. To complicate matters methods of storing keep changing frequently. Digital pictures can be backed up either locally on some sort of storage medium like your computer, a back up disk, or a thumb drive. Or you can put them in the cloud on line. I would suggest using both. If you are a casual picture taker and do not care much about keeping high quality files with lots of pixels you can use Facebook, Google+, Flickr, or any similar site. The problem is that most of these will reduce the quality of your files when you store them or download them. Plus no matter how fast your web connection is a local disk is faster. If you care about keeping the file quality as high as possible it is best to keep a local copy on a mass storage device like a back up drive. You can use thumb drives, but if you use large files like RAW data, disk drives are much less expensive. I would suggest strongly using some type of photo software and then sticking with it. I have used free Picasa for my work photos for years and it makes it very easy to find your pictures and if you want sync them with Google+. For my personal pictures I like a Mac computer and I have iPhoto and Aperture. I used to use Photoshop a lot and learned many of the complexities of their system. If you use Windows computers I would suggest some type of Photoshop program. There is Lightroom and Photoshop Elements. There are all sorts of on line storage options as mentioned previously. If you want to store full size files, keep them organized, and download them full sized your options are limited. Dropbox, Onedrive, and a few others can do this, but then you end up with a large amount of storage space used on your local computer when the on line syncs with your local. Flikr allows you to upload full sized files and gives you a terra byte of storage free. They also allow you to download your files full size, but only one at a time. There is a multiple file download app for flikr that I have tried. It reduces the size of the files. So what am I doing to archive files and organize them. I still have prints made and put them in photo albums. This is time consuming, but the books that result are satisfying to hold and look through. If you want to do this I strongly recommend Kolo books you can get from Amazon or local shops. The cheap Chinese ones are nowhere near as good. I put my pictures on back up disk drives. I have the Seagate and Western Digital ones. I also put many of my digital albums on line. Generally I put smaller file sizes on line for easier handling. I would not put huge RAW files in the cloud. Although my film developer sends me my high quality scans through dropbox. That system works very well. I organize my pictures in albums. I use both Picasa and iPhoto to do that. I have found that putting the year before the subject of the album helps you locate things later. We have owned our 2002 Country Coach Affinity for just under 5 years now. We have added about 30,000 miles. In my opinion our Country Coach is a well made and good performing motorhome. Is it better than the other motorhomes out there? I don’t know, but will say that it is by far the best of the motorhomes that I have owned or rented. I will list a few reasons why I am of this opinion. I enjoy driving it. It took me a little while to get used to the size, but after doing that I find that I look forward to time behind the wheel. It is steady on the road even in wind or big trucks passing you. It goes up or down big hills and mountains with ease, and does not overheat. On good roads it is almost silent at highway speed. It is beautiful inside and out. First class materials are used everywhere. High quality leather upholstery. Beautiful carpet and floors. Custom Corian countertops. Top end fixtures, lights, shower, faucets, wood, wood finish, paint, clear coat. And so on. Our clear coat is starting to have some problems on the curved part of the roof. But the paint itself is amazingly color fast after 12 years in the sun. Top Quality mechanical and electrical. CAT C12 motor that has plenty of power and seems to be very reliable. Wires are all laid out carefully and are marked. Two heating systems. Diesel aqua hot type and roof heat pumps. Two hot water heating systems. 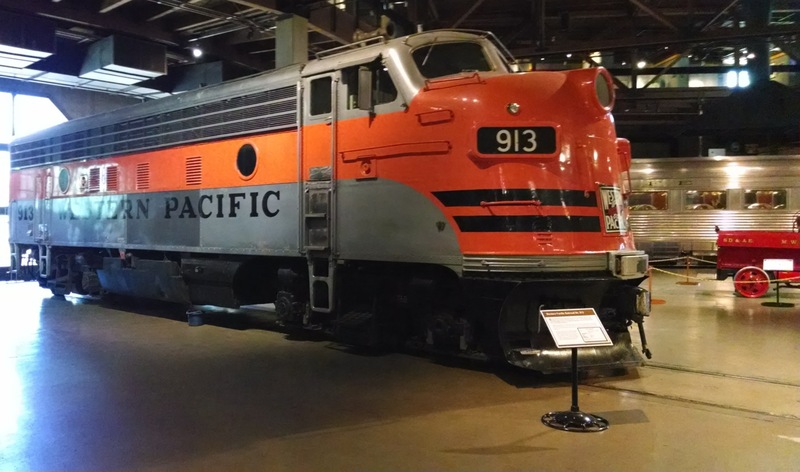 Diesel boiler and electric heat. Built in surge protector and water filter. Basement doors hung with piano hinges for precision and durability. Well made slide out trays in basement. All electric coach with dual inverters and all AGM batteries. All brass yacht type catches on cabinets. Very well insulated. R20 roof and dual pane windows. The high opinion of most owners and motorhome owners. Many times the opinions of people at large means something. In this case the almost uniform high opinion of others of the Country Coach product concurs with mine. Is our Country Coach perfect, no. I have things fixed all the time. But when you use something like this you always have a list of things needing attention. If I were to buy another motorhome today I would first look for a Country Coach. I am happy with my decision to buy five years ago. Many want views like this from their campgrounds. So do we. 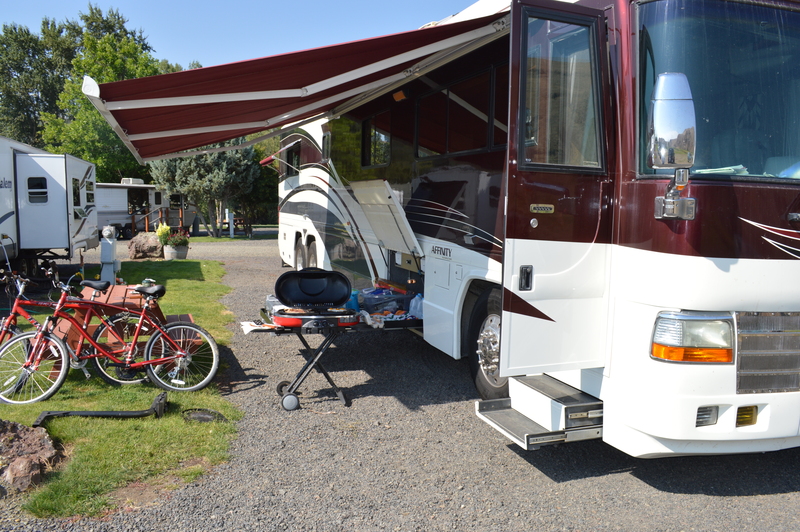 This is a very nice public campground in Ashland OR. 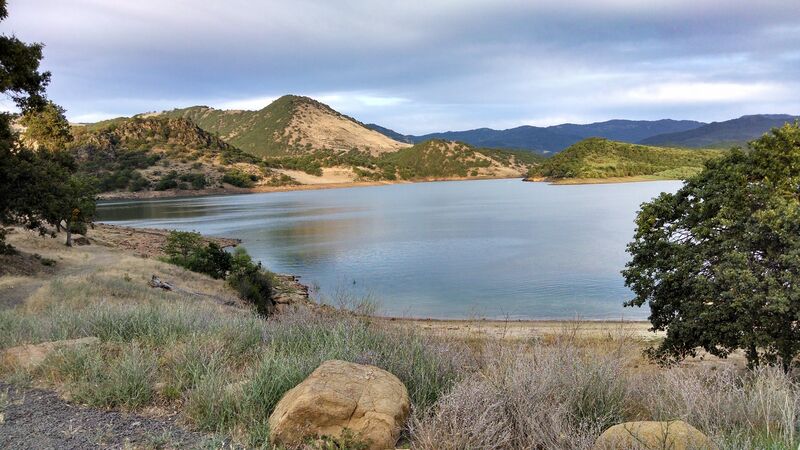 It is called Emigrant Lake CG. Not only do you get great views like this, but it is also fully equipped with full hookups and 50 amp power. It is also 100% full. Even though it is away from all road noise there are lots of activities here like jet skiing, fairly noisy dogs, and lots of kids. And noisy neighbors very close to us sitting outside playing loud music. Don’t get me wrong, for me this is a 8 out of 10 park. Off season this is likely a 9 out of 10 park. If there was wifi I would rate 1 point higher. Wifi in my opinion is a basic utility these days needed by almost everyone. There is good 4G Verizon. The previous couple of nights we stayed at a private park located in the Cal Expo area of downtown Sacramento CA. That park was right near the wonderful Old Town Sacramento Railroad Museum where I took the above picture. They even let my wife and I into the museum for free because I volunteer for CA State Parks. The Cal Expo RV park had either asphalt or gravel/dirt spaces. Their utilities were also complete with good 50 amp power. A very nice fenced in dog park. Plus wifi free that actually worked well. Good 4G Verizon. This was a noisy park due to freeway noise and moderate train noise. The cost was about the same as the public campground. 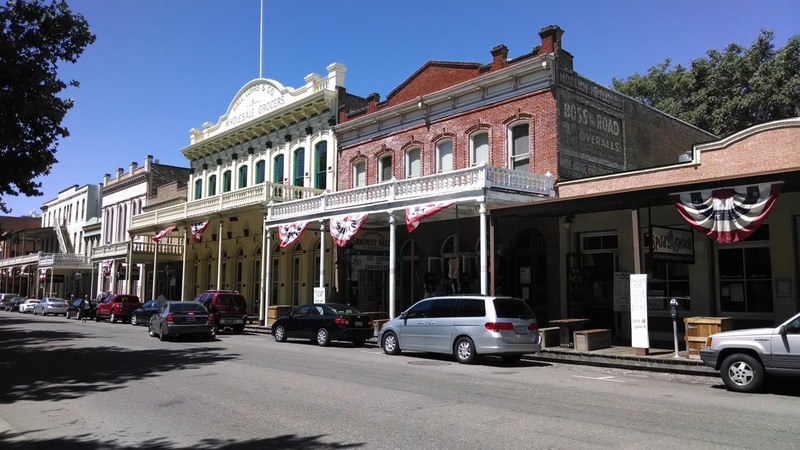 Close to the Cal Expo park was shopping and eating in a great old refurbished Sacramento as it was in the 1800’s. Both these parks cost about the same. How would I rate this park. Harder to do because I don’t like noise. Because of the bare gavel and no site development at all besides utilities I am going to rate it a 7-8. 7 if you don’t like freeway noise and 8 if you don’t mind. This park was about 60% full. The above image is from the resort’s web site. 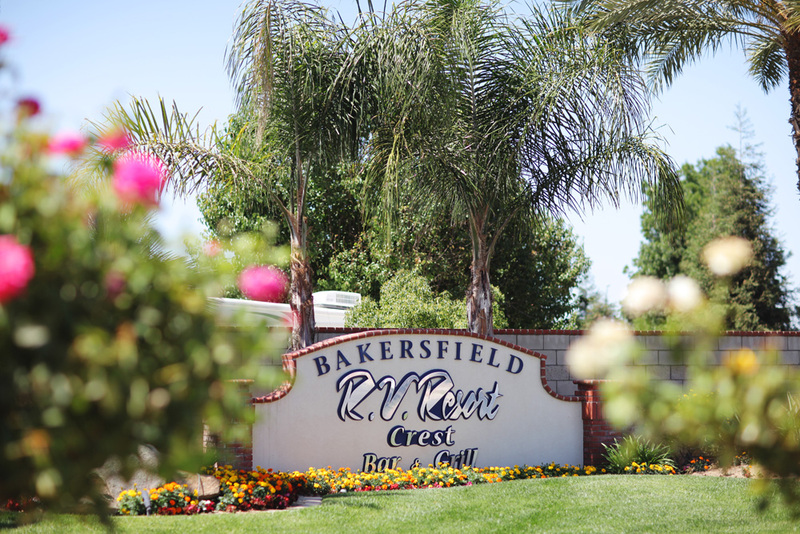 A couple nights before we stayed for a couple of nights at the Bakersfield RV Resort. This is one case where the word resort is true. This is one of the best private parks amenity wise I have ever stayed at. Very spacious sites with some grass. Good wifi. Very nice pool and hot tube. Clean bathrooms and showers. Very friendly staff. Free DVD’s from lobby. A good restaurant. Not great but good food. The freeway was a couple blocks away but you could definitely hear it. We also noticed lots of police-ambulance noises. This park is a 10. It made staying in a town that is definitely not a 10 pretty good. I did not love the noise, but the facility is so nice I am still going to rate a 10. Conclusion. Which is better, public or private parks? In my opinion it depends entirely on the park. I think generalizing does not work well. As we continue to RV we are getting better at picking places to stay. I generally use all the information available to pick places. This includes, RVparkreviews.com, Woodalls-Good Sam ratings, Google ratings, Google maps & other maps. 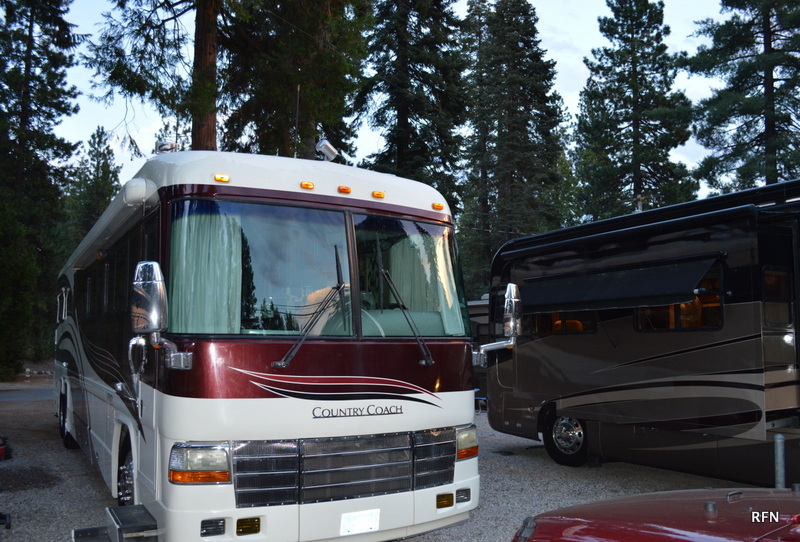 In general planning out RV routes and places to stay is very laborious. It takes me a lot of effort and work to do it. I find if you just wing it you end up at places you don’t like well and skip attractions you want to go to.